ThotWave’s Healthcare Analytics Competency Model© defines the knowledge, skills, abilities, and characteristics necessary to succeed in the field of healthcare analytics. Why do we need a competency model in healthcare? A competency model anchors what it means to 'do' health analytics by mapping the analytics functions, skills, tasks, and knowledge to a defined set of competencies that can be mixed and matched to define different roles on an analytics team. The reality is, healthcare is relatively new to adding analytical techniques to the portfolio of business functions. Individuals that thrive on analytics teams often come from diverse and sometimes non-traditional backgrounds. Teams that provide healthcare analytics services often develop by way of evolution, not selection. This means that existing job descriptions can be poor representations of the work required. The self-assessment allows you to identify the gap between capabilities you have now and those you need to develop to reach the next phase of your career. 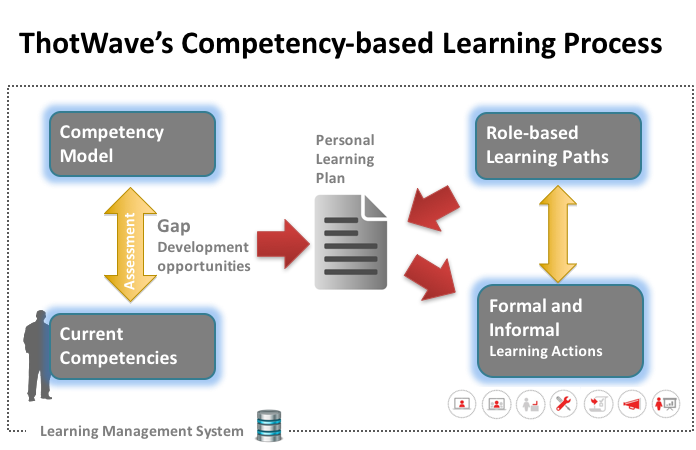 Once identified, the competency gaps can be used to create an individualized learning plan to get you to where you want to go. How do you define the competencies? Developed through a process of healthcare analytic workplace analysis and expert knowledge, our model includes nine domains of knowledge, skills, and behaviors that need to be demonstrated within a healthcare analytics team. Who else uses this assessment? The Healthcare Analytics Competency Model© can be used by individual analysts, their employers, human resources professionals, and educators. We use it extensively to guide our consulting work for healthcare organizations that seek to improve the capabilities of their staff. Ok, I'm in. What comes next and what should I expect? Upon purchasing your skills assessment, you will be asked to submit a form that starts the process. Within 24 hours you will receive a link to the assessment that can be completed in any web browser. This assessment takes less than an hour and you will be asked to honestly rate your capabilities for completing job tasks. You will also need to select a current job role that best fits you now and a future job role you aspire to land. Finally, we will schedule a 30-minute virtual coaching session at your convenience to discuss your results and answer any questions. Payment is accepted securely by credit card. Simply fill out the form on this page. You’ll then receive a prompt to enter your payment details. Reach out to us at learn@thotwave.com to discuss your needs. At ThotWave, we believe in helping to transform organizations through the use of data and analytics. Our team is comprised of experts in business intelligence, data management and analytics. We bring over 100 years of combined experience in analytics best practice and lifecycle management.